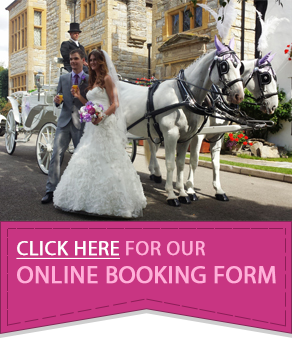 To make your big day extra special, we can create a horse drawn wedding package that’s perfectly tailored to you. 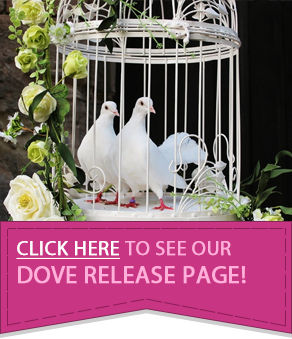 Whether you would like to be whisked away in a princess carriage or transform your wedding into a real-life fairytale with our beautiful unicorns, we are happy to create a bespoke service for your dream day. 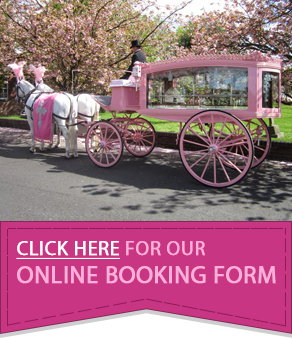 We have a number of horse drawn wedding carriages to choose from including traditional Landau coaches and fairytale Cinderella carriages. 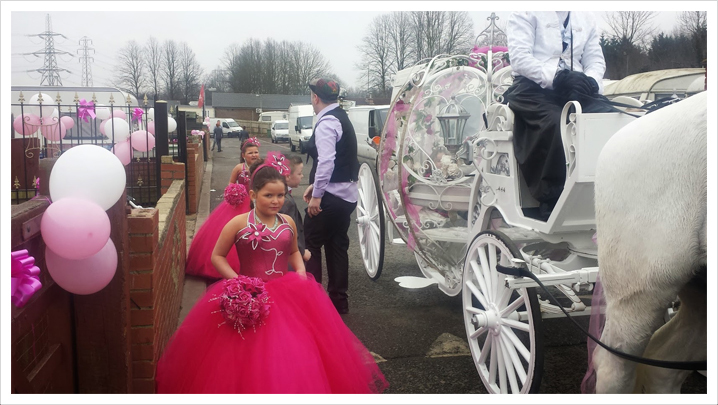 Particularly popular with Gypsy weddings, we also have the Original Katie Price Carriage as used by Katie Price and Peter Andre on their wedding day. 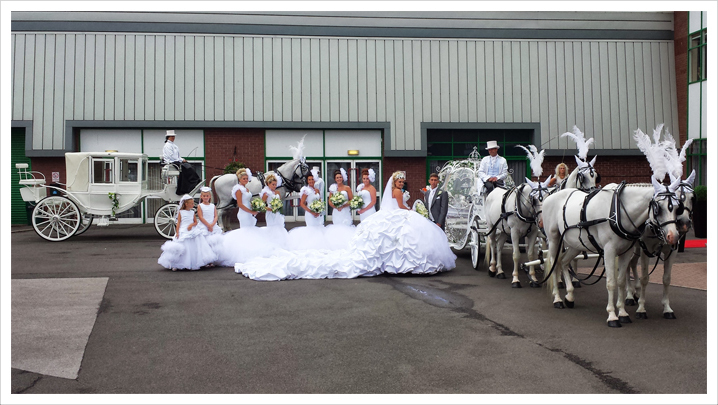 For added extravagance, we are able to offer multiple carriages so you and your bridal party can all arrive in style! All of our carriages can be decorated with bridal ribbons in a choice of colours to suit the theme of your special day. Whichever carriage you choose for your Gypsy wedding, you can further tailor our service with your choice of horses; ranging from a modest pair of horses, traditional team of 4 or 6 in hand turnout to lead your bridal party to your wedding venue. Our beautiful horses can also be dressed in plumes and drapes of your chosen colours or styled as unicorns for a fantasy-feel on your big day.